The safest tongued prop attachment on the market! Designed for the builder that know’s every task of masonry alterations is different and that a variety of temporary support equipment most suitable is to be used. 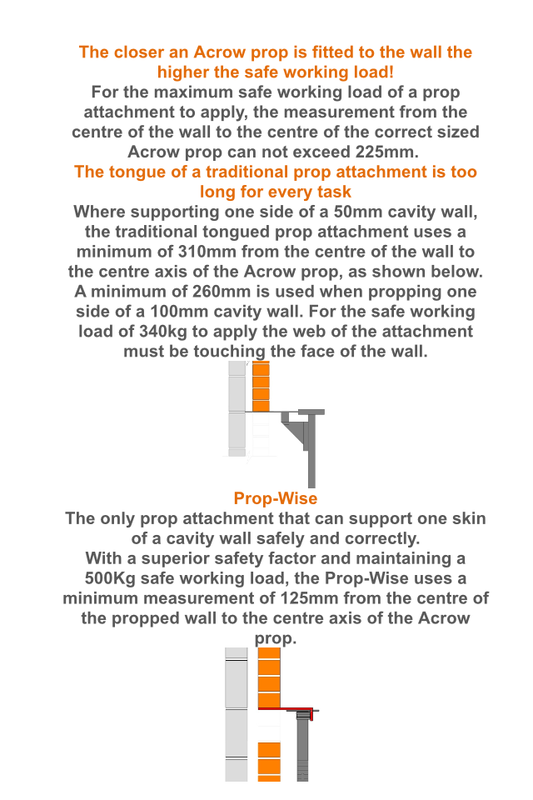 The only tongued prop attachment designed to support one side of a cavity wall and still maintain the 500kg maximum safe working load. 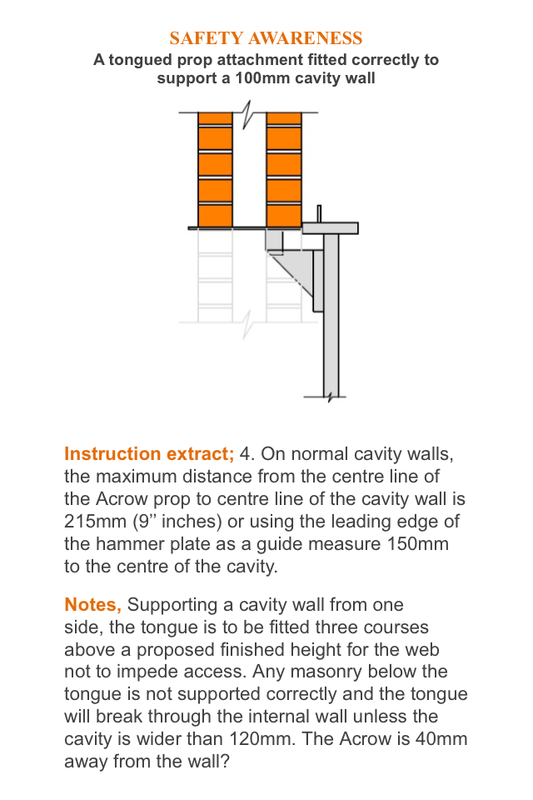 Our research shows that it’s not possible to prop a cavity wall from outside safely with a Strongboy as further joist and roof loads sit internally. 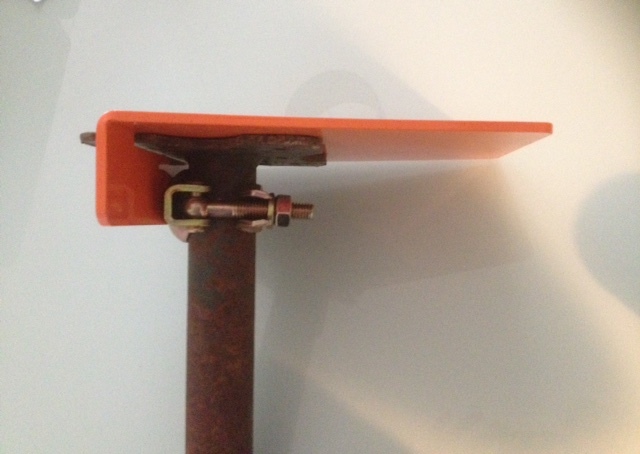 The Prop-Wise is designed to be used internally when the Brick Brace is being used externally. 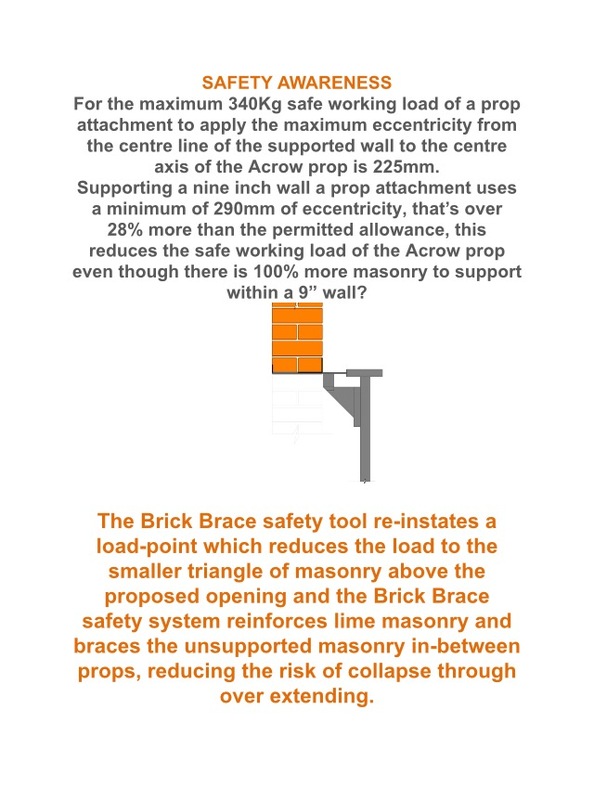 When using a variety of temporary support equipment most suitable for the task, the safer and easier the different jobs of masonry alterations become. No web to impede the fitting area. Designed with a totally flat top to ease internal use. 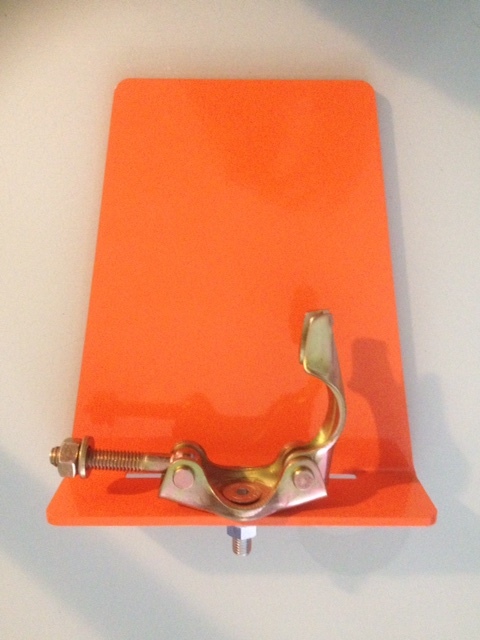 Designed to use the head plate so not to curve the inner tube of a prop. Tightened securely onto an Acrow prop. 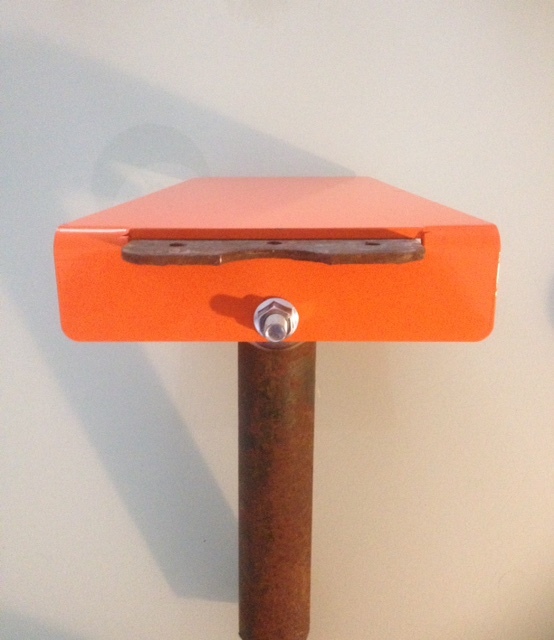 Prop 4″ walls from the opposite side as the fitting/work side for a superior safe working load. Fewer props within the work area upon larger openings. 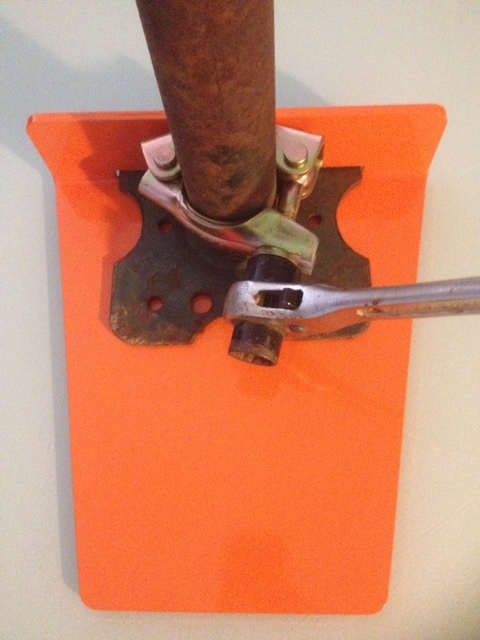 Fewer fitting holes, less masonry damage. Easy to store/fits in a tool bag. 500kg Max Safe working load. Simple to use without compromising safety. 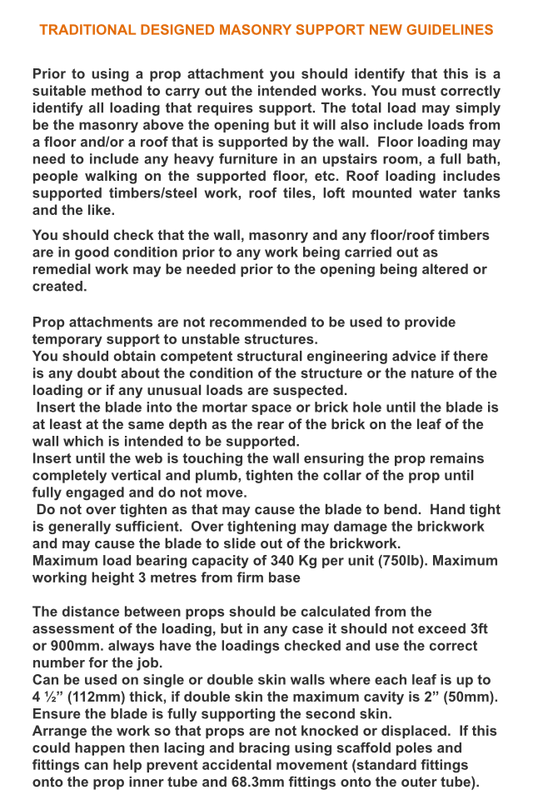 Support masonry with a superior factor of safety, instructions of use are available to print/read from our download/instruction page. Share the post "LIMITED EDITION! Prop-Wise Masonry Support X 4"